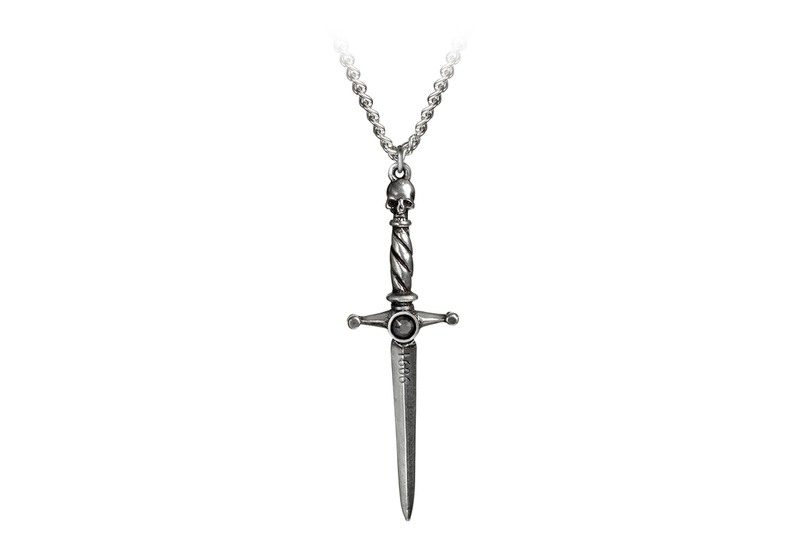 A single dagger pendant representing seduction in the story of Macbeth as the ultimate power that brings about one's own downfall. 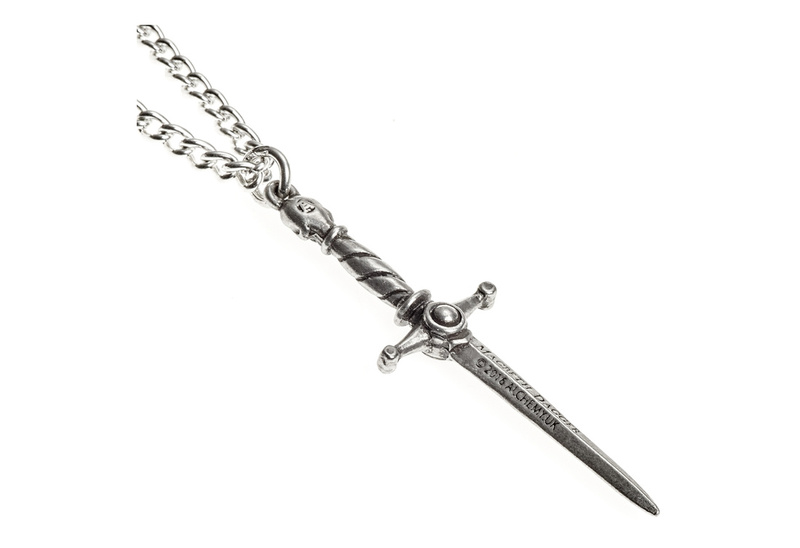 This piece measures approximately 2.13 inches high, 0.67 inches wide and 0.20 inches deep. 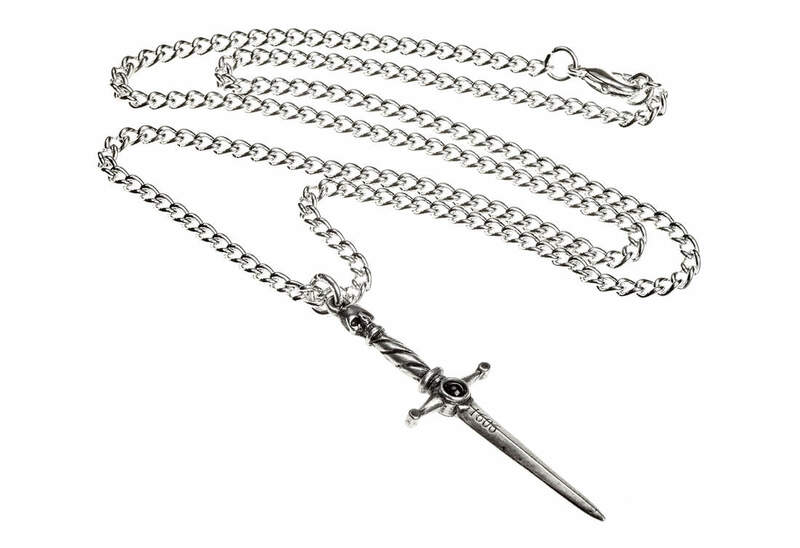 The chain measures approximately 21 inches. 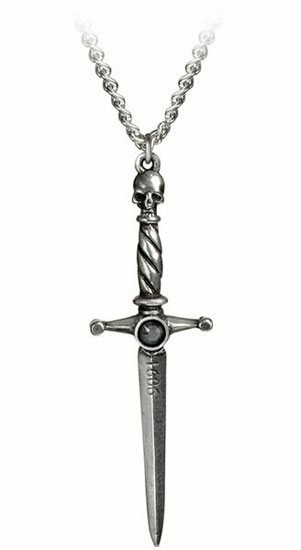 It is made of fine English pewter with a black onyx cabochon in the center. By Gothic Alchemy.